We create your web identity & we help people find you too! ITPL offers Adwords Management strategies that proffer to enable you with a renowned standing in the industry. We have dedicated professionals that monitor your accounts daily; and inform you weekly about your company’s performance. Catering to B2B, B2C, e commerce and an array of other industries, we ensure that your company is able to achieve and maintain a strong foothold in the industry. What does ITPL’s Adword Management entail? The Philosophy at ITPL is to get the best traffic aimed at providing the lowest cost of conversions; thereby aiming at making more money. This approach has helped us to increase more than 50% of our client’s business performances. With the Adword Management campaigns, you can display the ads on Google and the payments can be made only when people click on the ads. The role of ITPL in this is that we make the campaign more effective by helping you to choose the right keywords that are related to your business. The fact that there is flexibility to alter budget and also alter the campaign on the basis of geo targeting by focusing on the specific country, region and city; further accentuates the benefits of the marketing strategies. How does Adwords help your business? We offer you “Greater Control” as our clients can adjust the budgets till the time they are able to get the desired results. Adwords Management strategy also offers a “Measurable Value” as there is no minimum spending budget required. And also the charges are deducted only when someone clicks the ad, therefore you get the worth for every penny spent. However this is not the case with SMS and email marketing. All in all a very effective Internet marketing stint that only has the best to offer. To help reap the maximum benefits ITPL professionals can guide you better! The internet marketing strategy has another version; called the Pay Per Click Management; which is also known as the “paid version of SEO”. As the name suggests the advertisers are paid by the host companies for services they render. However payments are made only by clicking on advertisements. Resultantly these help in bringing instant traffic to our client’s websites; and in that regard they are termed as the most effective advertisement strategies. Thus paid search engine marketing strategies are used to get on top of the sponsored links on the search engine pages. ITPL’s PPC Management Services plans are based on convenience and flexibility. These plans can be chosen in accordance to individual requirements. Plans are offered according to their suitability in terms of budget and requirements. We are highly renowned in terms of providing effective results based on Pay per click; as they also work to enhance your company’s visibility. 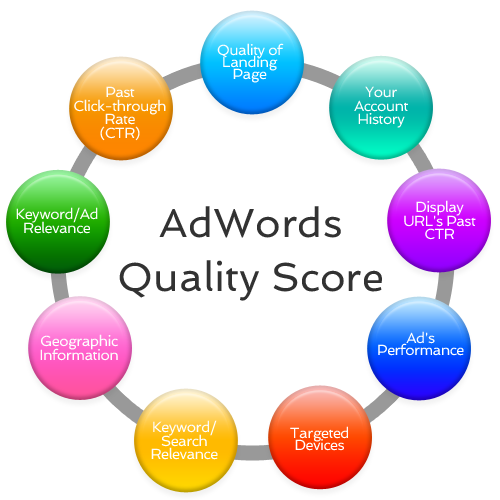 We have a team that specializes in PPC management strategies that also ensure for the lowest cost per click. Not only Google Adwords, ITPL also specializes in PPC campaigns on Adcenter, LinkedIn and Facebook as well. We provide hands on management. This is because our strategies are focused, affordable and accountable. At the click of a mouse one can see the returns on your advertising. We deliver accurate reports that are based on analysis and can also forecast trends; this further offers greater ROIs for our customers. Full transparency in all dealings is hall mark of our services. Banner Advertising is a progressive marketing stint followed by ITPL. Visually appealing banners are strategically placed, that help in redirecting the traffic to the allocated web pages. This is a very effective and powerful marketing medium as it is capable of showing prompt results. The reason for its popularity is because it banks on the curiosity levels of people and thereby indirectly helping to generate traffic to your site. All in all, our banner advertisements are geared to give a push to our client’s products.